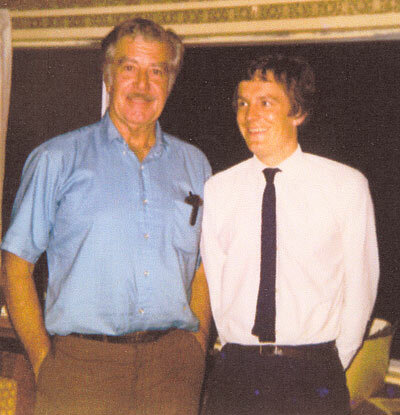 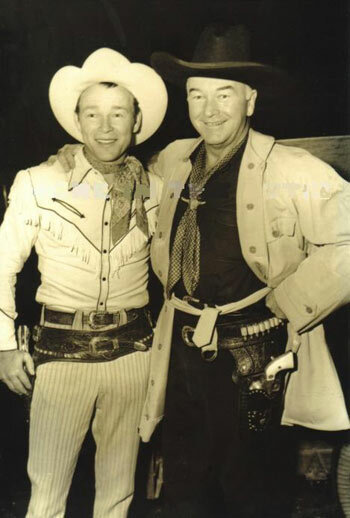 John Brooker of England (R) visited with PRC's Texas Ranger James Newill in 1970. 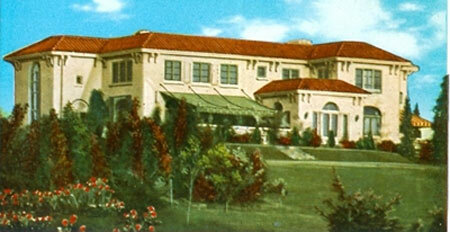 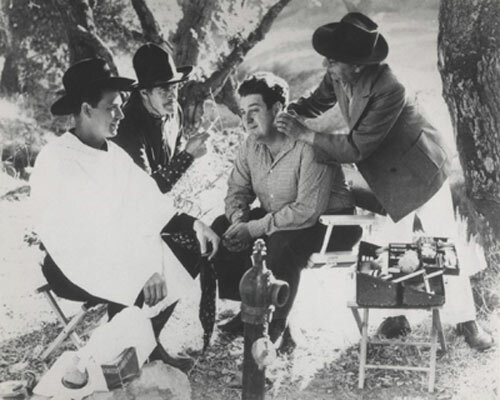 Tom Mix mansion in Beverly Hills, California. 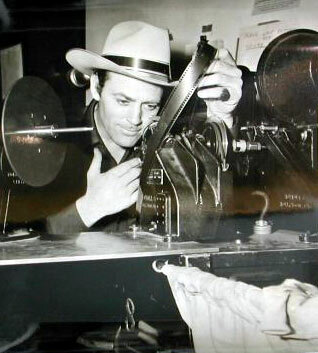 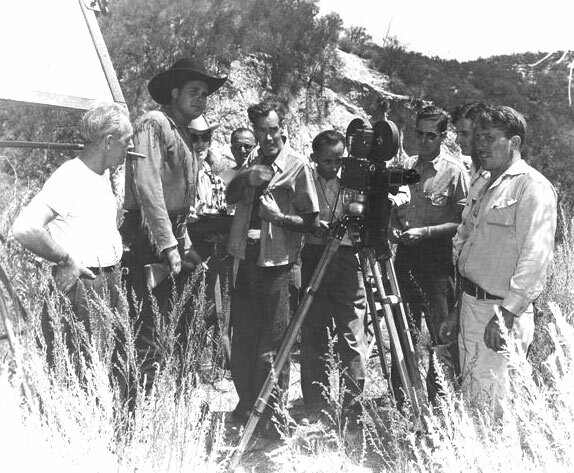 Allan "Rocky" Lane studies a few feet of film. 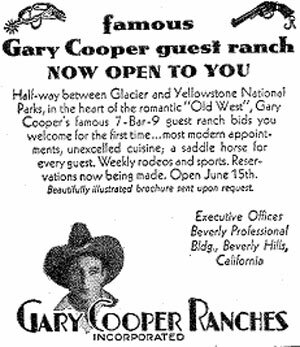 Gary Cooper Guest Ranch ad from 1934. 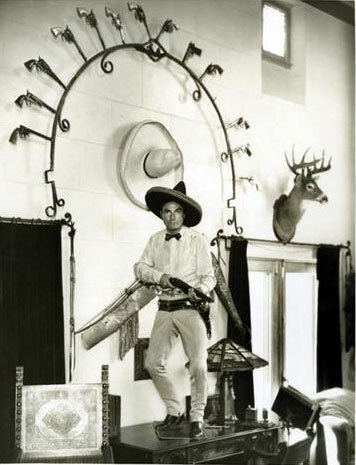 What a great place this would have been to spend a week! 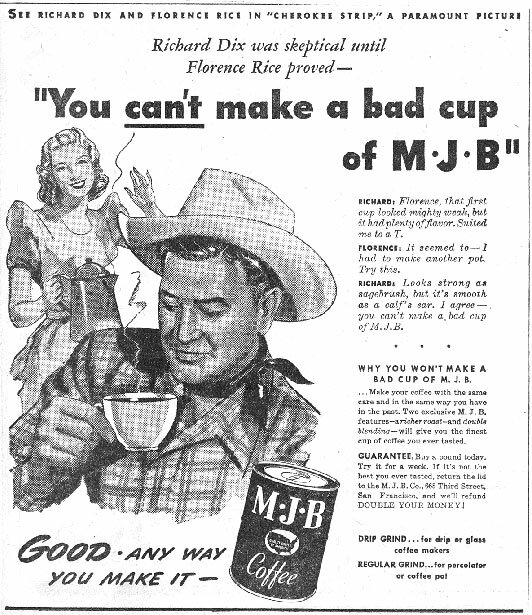 Richard Dix endorses MJB Coffee in a newspaper ad from October 26, 1940. 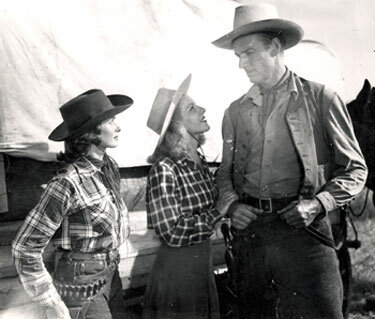 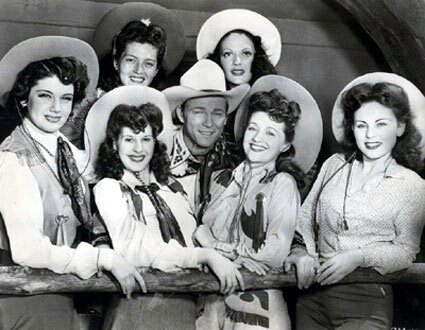 What adoring young female fan in the '50s wouldn't have loved to be in this position with the very handsome Rex Allen. 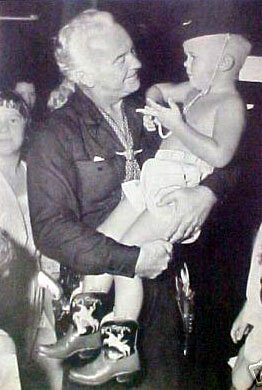 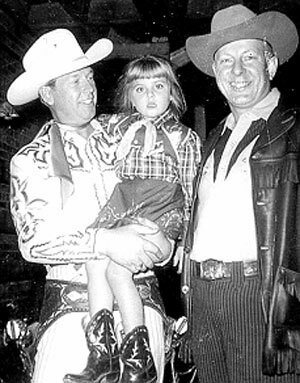 Photo taken at one of his many rodeo appearances. 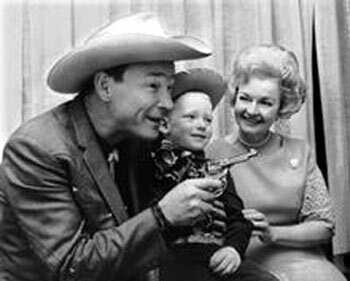 Jimmy Rout III, age 4 and a half, gets some six-gun tips from Roy Rogers and Dale Evans on September 27, 1967 at the Tennessee Mid-South Fair. 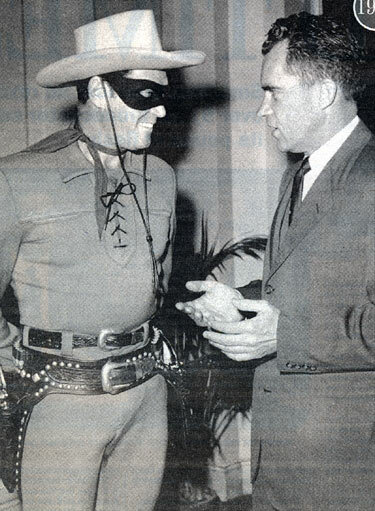 Clayton Moore as the Lone Ranger met with Vice President Richard Nixon in the Capitol building in Washington on June 16, 1958. 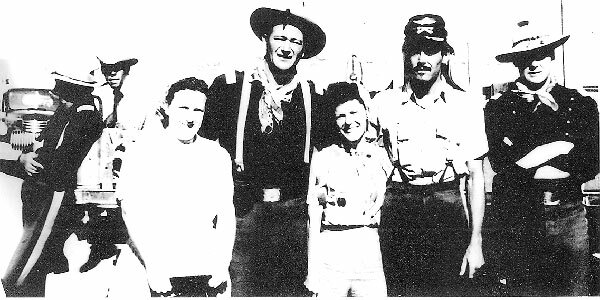 Nixon met with Moore in support of the Lone Ranger's Peace Patrol Bond Rally. 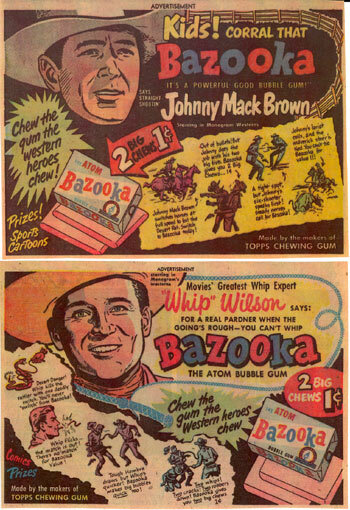 Donna Magers sez, "Bazooka was the best bubblegum! 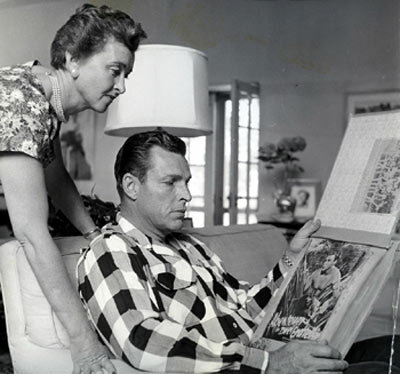 Much better than Swell." 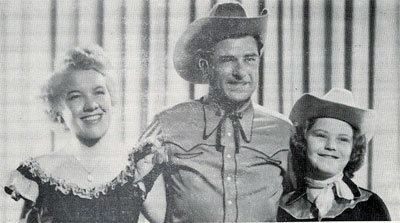 Obviously, Johnny Mack Brown and Whip Wilson thought so. 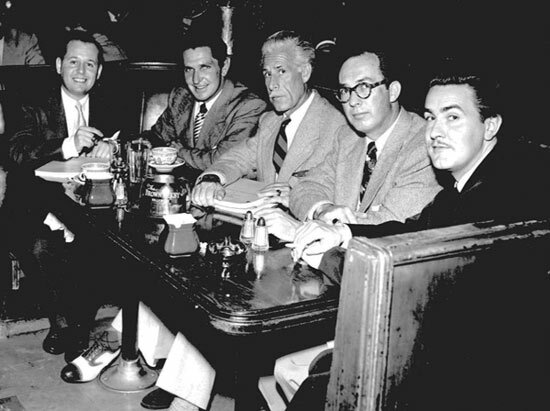 Did they call it Bazooka 'cause it "popped" so good? 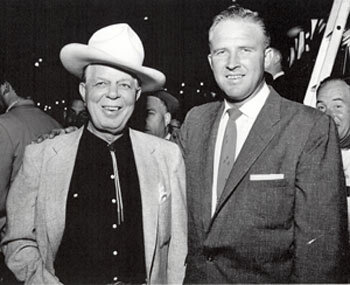 Hoot Gibson makes a personal appearance at Big Swed's car dealership in Los Angeles. 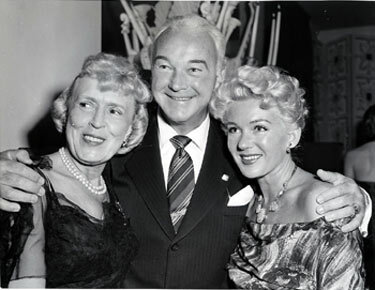 Swed is on the right. 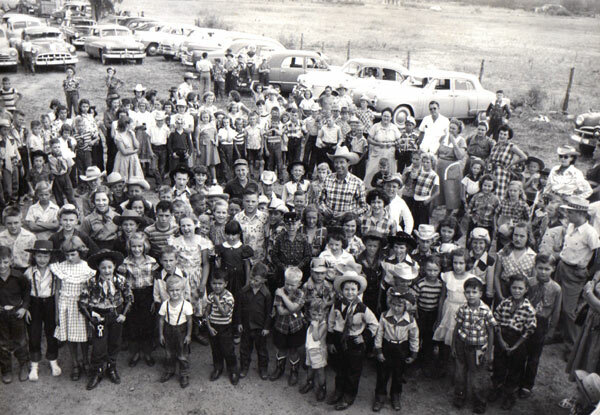 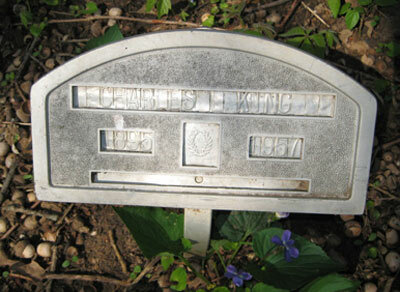 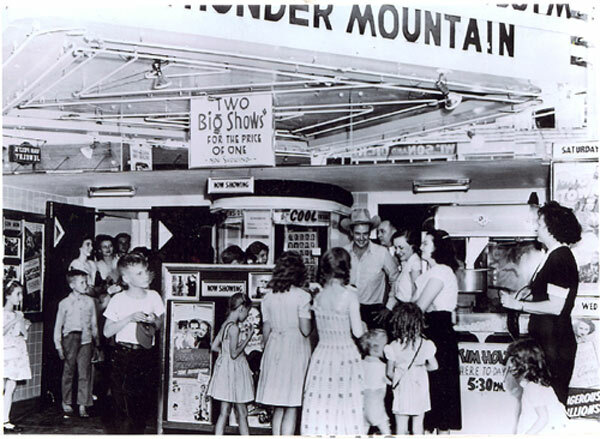 Photo probably taken in the '50s. 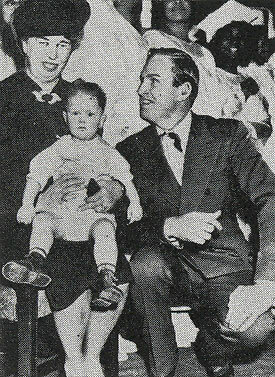 During the 1940 President's Birthday Ball at the White House, on special request from Mrs. Eleanor Roosevelt's grandchild, Gene Autry came down for a formal introduction.